The United States, the European Union and Japan are filing complaints with the World Trade Organization charging that China is limiting its export of rare earths, raw materials that are vital to the production of technology components. The United States, the European Union and Japan filed complaints Tuesday with the World Trade Organization charging that China is limiting its export of rare earths, minerals that are vital to the production of technology components. China has a stranglehold on the global supply of 17 rare earth minerals that are essential for making high-tech goods including hybrid cars, weapons, flat-screen TVs, mobile phones, mercury-vapour lights, and camera lenses. 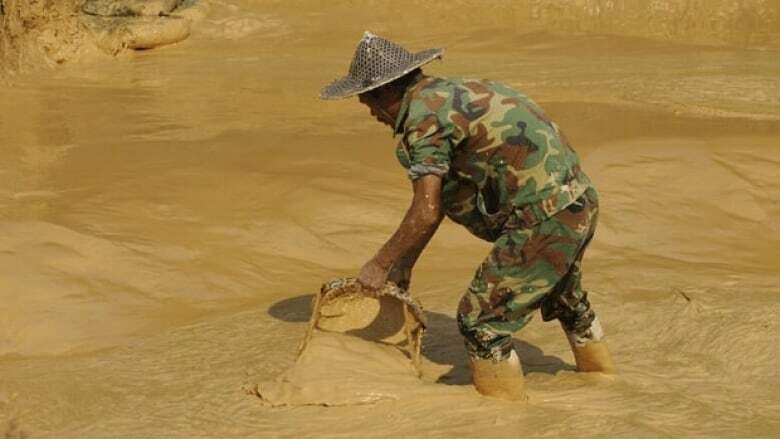 But China has cut its export quotas of these minerals over the past several years to cope with growing demand at home, though the government also cites environmental concerns as the reason for the restrictions. U.S. industry officials suggest it is an unfair trade practice, against rules established by the WTO, a group that includes China as a member. EU Trade Commissioner Karel De Gucht said China's export quotas and export duties give Chinese companies an unfair competitive advantage, and must be removed. "These measures hurt our producers and consumers in the EU and across the world," De Gucht said. President Barack Obama planned to announced the U.S.' filing of a complaint from the White House on Tuesday. The fresh action is part of Obama's broader effort to crack down on what his administration sees as unfair trading practices by China. Senior administration officials said Beijing's export restrictions give Chinese companies a competitive advantage by providing them access to more of these rare materials at a cheaper price, while forcing U.S. companies to manage with a smaller, more costly supply. The three separate but co-ordinated filings with the WTO formally request dispute settlement consultation, which is the first step in a WTO complaint. If no resolution is found after 60 days, the dispute can be transmitted to a WTO Panel for a ruling. At the end of the process, depending on the outcome, sanctions against China are possible. In addition to rare earths, the complaints cover tungsten, a very hard metal, and molybdenum, a metallic element used in making different types of steel as well as in other industries. Anticipating the complaints, China earlier on Tuesday defended its curbs on production of rare earths as an environmental measure. Global manufacturers that depend on Chinese supplies were alarmed by Beijing's decision in 2009 to limit exports while it built up an industry to produce lightweight magnets and other goods that use them. China has about 30 per cent of rare earths deposits but accounts for 97 per cent of the world's production. China needs to limit environmental damage and conserve scarce resources, said a Chinese foreign ministry spokesman, Liu Weimin. "We think the policy is in line with WTO rules," Liu said at a briefing. The complaints filed Tuesday follow an earlier EU challenge to China at the WTO on restrictions on other raw materials. Earlier this year, the WTO ruled that export restrictions on those other material were incompatible with the rules of the global trade organization, of which China is a member. But EU officials said China has made no move to comply with the earlier ruling.